Looks like there is a reason for men to start buying pregnancy tests too. 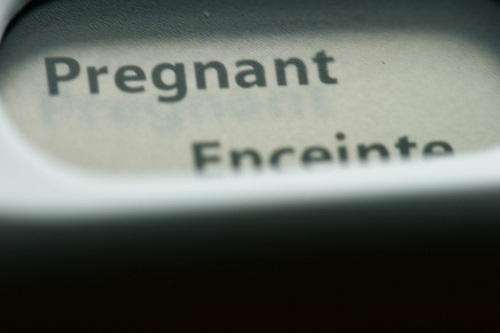 A man found out, via a positive pregnancy test, that he had testicular cancer. The man, whose name has not been disclosed to the public, found an unused pregnancy test that had been left at his home by his ex-girlfriend. As a joke, he decided to pee on it, and was shocked when the results indicated that the test was positive. He posted a comic about the experience on Reddit to be humorous, but savvy Reddit users well-versed in oncology urged him to see a doctor. “You may have testicular cancer! Get to an oncologist, tell them you took a pregnancy test and it came out positive,” one Reddit user said. Pregnancy tests check for the presence of a hormone called beta human chorionic gonadotropin. In pregnant women, the hormone appears in the urine and blood as a result of the growing placenta. But other conditions can produce the hormone, beta hCG for short, like some forms of testicular cancer. Sure enough, the man went to his local physician, where a test revealed that he had a small testicular tumor. The tumor was caught early, fortunately for him, but he may still have to have his testicle removed. The American Cancer Society says that testicular cancer has an extremely high survival rate. The survival rate for all men with testicular cancer is 95 percent. Even if the cancer has spread to the surrounding lymph nodes or to organs, men have a 72 percent chance of living for at least five additional years, by which time cancer is largely considered cured. Though a pregnancy test may be a clue, most men discover that they have testicular cancer by finding a painless lump in their testicles. Doctors suggest that men perform self-examinations in the shower to check that everything has remained the same. What if 90% of the peer-reviewed clinical research, the holy grail of the conventional medical system, is exaggerated, or worse, completely false? A seismic shift is occurring in the field of evidence-based medicine that a rare few are aware of, but which will (and likely already does) affect everyone, as the standard of medical care today largely follows from this model. The very life’s blood of ‘evidence-based’ medicine — peer-reviewed and published clinical research results – which legitimizes the entire infrastructure and superstructure upon which conventional medical knowledge and practice is erected, has been revealed as mostly and patently false. [Ioannidis] zoomed in on 49 of the most highly regarded research findings in medicine over the previous 13 years, as judged by the science community’s two standard measures: the papers had appeared in the journals most widely cited in research articles, and the 49 articles themselves were the most widely cited articles in these journals. …Of the 49 articles, 45 claimed to have uncovered effective interventions. Thirty-four of these claims had been retested, and 14 of these, or 41 percent, had been convincingly shown to be wrong or significantly exaggerated. If between a third and a half of the most acclaimed research in medicine was proving untrustworthy, the scope and impact of the problem were undeniable. That article was published in the Journal of the American Medical Association. Time magazine wrote about Ioannidis’ findings the same year with a piece titled “A Researcher’s Claim: 90% of Medical Research is Wrong” — the title of which speaks resoundingly for itself. Keep in mind that the ‘gold standard’ of the multi-trillion dollar conventional, ‘evidence-based’ medical model is the very research that Ioannidis now says is mostly false. This model, which apparently thrives despite, or even because of, its falsity, largely determines what drugs are used, what surgical procedures employed, or conversely, what treatments can not be used, e.g. vitamins, spices, etc in disease prevention or treatment. It also shields those who practice this dominant and only truly legally-sanctioned form of medicine against the potential calamity of moral, criminal, and financial liabilities it is responsible for– that is, as long as the truth continues to remain buried. It was surprising to find only one study of inactivated vaccine in children under two years, given current recommendations to vaccinate healthy children from six months of age in the USA, Canada, parts of Europe and Australia. If immunization in children is to be recommended as a public health policy, large-scale studies assessing important outcomes, and directly comparing vaccine types are urgently required. Or, among the the tens of millions of Americans taking statin drugs for the primary or secondary prevention of cardiovascular disease, who among them realize that there are well over 300 adverse health effects documented in the scientific literature itself associated with the use of this chemical class of medications, including the weakening and damaging of the heart muscle? Sadly, examples like these may be the rule and not the exception. Evidence-based medicine (EBM), of course, is founded upon an epistemological power structure arranged hierarchally like a pyramid. The ‘quality of evidence’ determines whether or not something can be said to be true. On the lowest tier, the ‘base’ of this pyramid, is the Anecdote, considered worthless, encompassing many folk medical systems employing food and plant medicines and still used by the majority of the word as their primary care system, followed by: Cell Studies > Animal Studies > Human Studies > Clinical Trials > Meta-Analyses and Systematic Reviews of Clinical Trials. This model assumes, in the characteristically Napoleonic style, that what it does not officially confirm as being true, is not true. Herbs and vitamins, for instance, are almost never considered to be “evidence-based” and credible because they have not run the gauntlet of prerequisite clinical trials required for them to be verified as therapeutic within this model. The fact that our bodies, for instance, require vitamin C in order to be alive, is not evidence enough to support the concept that it may be valuable to take it supplementally at doses beyond the recommended daily value (which may keep you only a few milligrams above starvation/deficiency values). The fact is that human clinical trials can cost millions of dollars, and that in order to prove the value of a potential FDA-approved medicine, it must be taken through phase I, phase II and phase II clinical trials (which costs on average $804 million). The ‘gold standard’ of evidence-based medicine therefore betrays the aphorism: “those who own the gold make the standard.” By principle, therefore, all natural substances, which do not lend themselves to being patented because they do not grant the manufacturer exclusivity, will never attain FDA approval as legitimate medicines. While the conventional medical system can claim this is because they lack “evidence” for safety and effectiveness (despite the fact that Turmeric, for instance, has thousands of years of use by millions of folks as a food and medicine), the reality is that they only lack “evidence” because they cannot be effectively monetized and controlled as proprietary instruments of medical power. Ultimately, Ioannadis’ findings reflect an inborn and potentially fatal error at the very heart of modern science itself: namely, a tendency towards scientism. For instance, a fundamental assumption of all scientific inquiry is that things are made of “real, hard objects,” i.e., the computer I am typing at is a conglomeration of atoms. But wait, quantum mechanics, which peers deeper into the illusion of materiality, revealed that what subtends the illusion of macroscopic things is a subatomic realm better described as comprised of fields of possibility, where particles can be at two places at once, or communicate faster than the speed of light (non-locality), etc, basically violating all the fundamental laws considered inviolable on our everyday level of macroscopic perception. So, in many ways, the deeper you take the scientific investigation, the less firm a footing you have on what really is real, and what you think you know. Also, scientism – this false sense of certainty in knowing — leads inevitably to medical monotheism: the belief that there is only one true and right way to prevent and treat disease, and that all disbelievers are intrinsically inferior and treated as either uneducated, insane, or as heretics, to be prosecuted to the fullest extent of the law. This is how we arrived at our present day pseudo-scientific medical dictatorship. I say pseudo- because insofar as science means an attempt to discern the truth without bias, it is a human faculty, a yearning of the soul, a constant challenge we must meet each and every moment we try to figure something out. Science is not a “brand,” a “possession,” an exclusive faculty of a caste of scientific elite, dispensed solely through monolithic institutions. It can not claim to deny anything and everything it does not explicitly confirm without being an organ and instrument of fascism, control, divisiveness and institutionalized and compulsory ignorance and myopathy. Natural medicine, by principle, will never attain legitimacy within the present power structure. 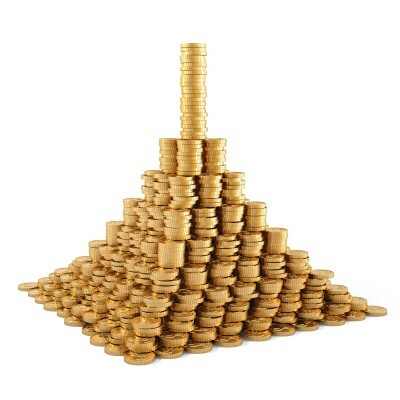 The money simply will not flow in the direction of uncovering, or simply confirming its time-tested, multi-culturally confirmed and often obvious power to heal with food and otherwise natural substances and interventions — that is, beyond the sizable body of preclinical research which we have gone to great lengths to collect and index for you on Greenmedinfo.com. These limitations, however, are being overcome as we speak. The revelation that the ‘evidence-based’ monopoly on the truthTM is itself not based on evidence, in perhaps a majority of cases, has world historical implications. Perhaps we must go back to using our intuition, drawing from ancient dietary and natural medical practices to take back control of our health. Is the evidence of our first-hand experience any less valid than a Merck funded, multi-million dollar drug trial? It is simply a matter of whether we choose to stand firmly in, or loosely give away our power in exchange for the narcotic of blind faith in a higher, worldly power, the modern-day physician, i.e. the “priest of the body,” and associated scientific clergy. Sunlight the “New” Best Cold Remedy?